It has been busy around Grandmother’s house the last few weeks with back to school, family visits, and weddings. There have been days when I just could not go to my computer to post. Nevertheless, while I was busy, good news was flowing in from Pat Wood who has nominated Grandmother Musings for the One Lovely Blog Award. 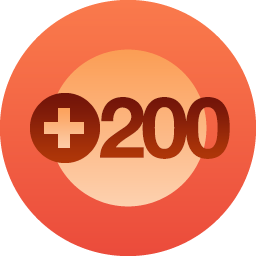 I also received a badge that says 200 wonderful bloggers have been following Grandmother Musings. I am constantly amazed that anyone, much less 200 followers, would read my musings. It is humbling and an honor to know that I have reached that many people. I wish to thank Pat for nominating me for the One Lovely Blog Award. Pat’s blog– PatWoodBlogging is a place for her to write and test out her desire to be a published novelist. You can read her “gentle” short story, A Fairy Story that has been published in Woman’s Magazine. She also has a few other stories, Clean Death, A Taste of Death, and The Scent of Lavender available to her readers to peruse at their leisure. This superbly written blog is worth a look and a comment. 1. Give credit to the awesome person who nominated you, and post the Award on your site. 1. Wrinkles on my clothes really bother me. I iron and my new method is to use the Wrinkle Release spray. Surprisingly, the spray works on most fabrics and saves me ironing time in the morning. 2. I never intend on being a gray-haired grandmother. Why should we be gray? There are plenty of colorings out there to avoid the gray taking over. 3. My houseplants are always neglected in the winter. The plants always survive until summer break when I can pay attention to them. 4. This weekend I went Disk Golfing for the first time. I liked it, although, I had a score of 25 over par. I figure I will have to get better if I keep at it. LOL! 5. I once found a beautiful dress to wear to a wedding for $8.00. I will tell you about it, sometime. 6. Reading glasses are ugly and I dislike wearing mine. Unfortunately, I seem to need them more every day. 7. I love to drive! Please check out these remarkable blogs, and do not forget to leave them a comment. Bloggers are the BEST! Posted in Awards and tagged 200 followers, awards, grateful, One Lovely Blog Award, pat wood, Superb Blogs. blogging, thankful. Bookmark the permalink. Congratulations!! Won’t be long until 200 grows to 2000! Thank you for the plug! Very much appreciated. And you deserve your award. There is a lot going on on here and best wishes for the future. Congratulations. I too share # 6 with you….hate needing ugly reading glasses. Currently writing a post about this. 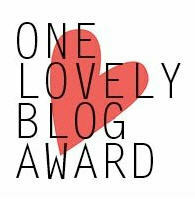 Thank you for nominating me too with your One Lovely Blog Award. I am making so many friends through you nomination. BTW, eye glasses can add an interesting and mysterious aura to a person’s face. I wear them when I read only, because I refuse to stick foreign objects inside of my eyes, so I guess I wil always wear them. Congratulations! It is NOT a surprise that your readership is growing. You run a great blog!